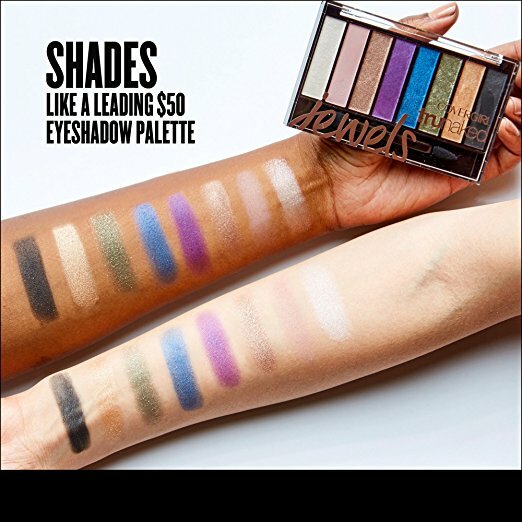 CoverGirl Trunaked Jewels Eyeshadow Palette, launched for Spring 2017, features color rich shades to make a single bold eye statement, or blended together. The palette was created by none other than legendary makeup artist, Pat Mcgrath (yet another reason to snag yours - for bragging rights!). There are 4 neutral metallic/satin shades that can be used to easily line the eyes/create a smoky eye and add to the lid for a quick night out glam. If you really want a creative, colorful look, on the back of the CoverGirl Trunaked Jewels Eyeshadow Palette there are four "Get The Look" guides also created by Pat Mcgrath. All the shadows can be used wet for a more intense color payoff, or dry. The palette comes in the CoverGirl Trunaked slim, plastic compact and has a dual-sided sponge applicator. I loved the soft, creamy texture of the eye shadows. It felt like a hybrid power/cream going on the lid, and they applied easily from their silky, buttery quality. The shadows were a mix of metallics and satin, and none of them dragged or had fall out while I was working with them. The sponge application worked very well for adding lots of product on to my lid when I wanted a stronger finish. I also liked experimenting with brushes when I wanted a softer or more casual look. The Green Amber and Sapphire were two of my favorite jewel shades and Onyx, Sunstone and Quartz worked with any look I wanted to create, from a dramatic smoky eye to a casual weekend look. The shadows lasted most of the day, with some fading and creasing by early evening, (but with an eye shadow primer they stayed put longer). 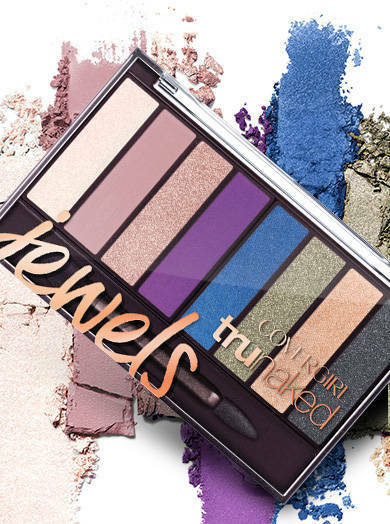 Purchase Here: CoverGirl Trunaked Jewels Eyeshadow Palette Also available at most drugstores nationwide. *This product was provided courtesy of CoverGirl PR for reviewing purposes.